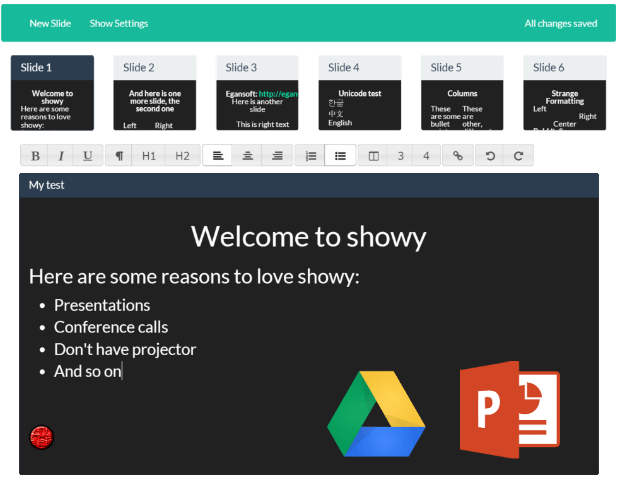 Import your existing Google Drive presentations, or create a new one from scratch using the showy editor. Updates made to your showies are saved online and can be accessed anywhere through the web. Each showy you create will be given a URL in the form of beshowy.com/yoururl, which you can choose yourself. Give this link to your audience to let them view your Showy through their phone, computer, or tablet. Simply go to beshowy.com/yoururl/admin to open up the host page for your Showy. Clicking the next button will allow you to advance the slide, and poll results and questions will be available here for you to view. Showy allows you to show your presentation during a conference call when using a projector is not an option, and the control page for your Showy keeps the presentation smoother than sending everyone a PowerPoint file. It is a convenient, lightweight, and free alternative to the other costly solutions on the market. Showy gives everyone a front row view of your presentation, and allows them to see it on their own personal device. Features like polls and questions are integrated, allowing close interaction and two way dialog between audience members and the presenter with maximum efficiency. Showy allows you to present your ideas anywhere, at any time. Ditch the projector. 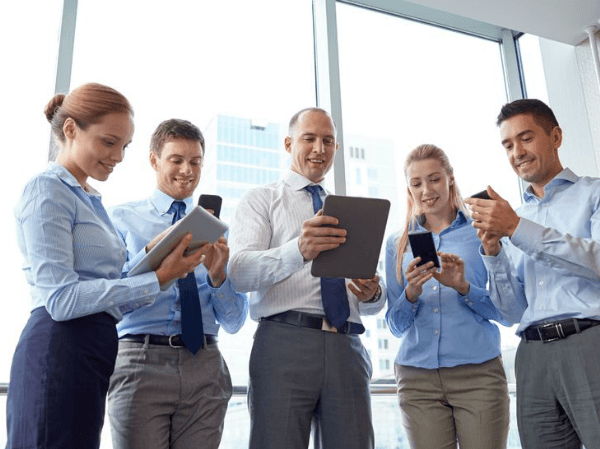 Simply pull up your showy presentation on the smartphones or mobile devices of your audience to let them see your slides on any screen they are carrying. No download is required, making it quick and easy for everyone. 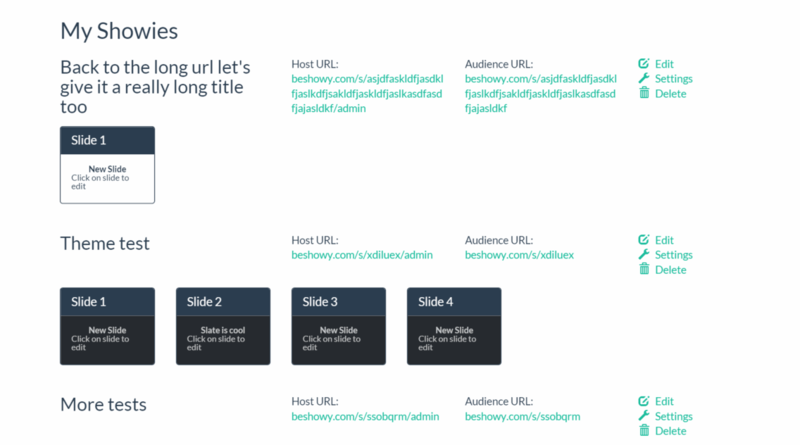 Presenting with Showy is as simple as sharing a link with your audience and opening your host page. Showy is cloud based, running completely in the browser. All your revisioned are saved online, and can be accessed anywhere. Showy works on Windows, Macs, Linux, Android, iOS, Blackberry, and any other device, big or small, with a modern web browser. There is an assortment of color schemes available, in both light and dark colors, with more options coming soon. Showies you create will automatically reflow text and columns to be easily readable on screens of different sizes. Be showy. 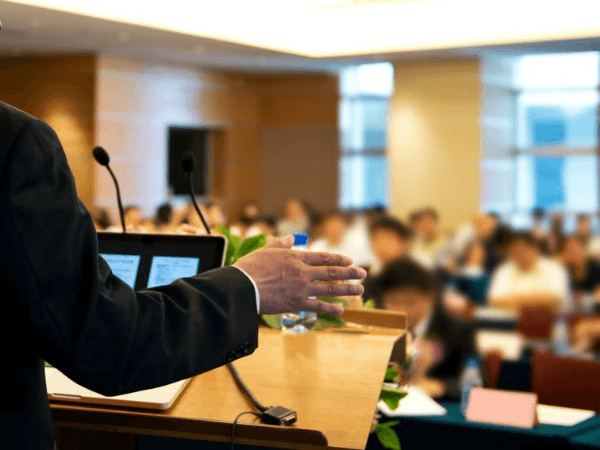 Showy's unique decentralized setup adds an extra flair to your presentation that is guaranteed to impress your audience. Showy is a web application designed and developed by Nicholas Egan of Egansoft. Nicholas Egan found his calling in software development at the age of 10, and since then has been developing his skills for a variety of platforms, eventually starting Egansoft. Egansoft is a software firm offering web development services, android applications, and educational tools. For more, go to egansoft.com. © Copyright 2015 by Egansoft. All Rights Reserved.